Most mothers get confused about what to give your baby after breastfeeding or along with breastfeeding. If your baby is less than 6 months old, breastfeeding is the best thing to give your baby! Take a look at this food chart for 6 months baby. After the 5th month, you can start introducing semi-solid foods to your babies along with the breast milk but before that it always better to check if your baby is ready for solid foods or no! You can always introduce pureed fruits. Start with 1 tbsp a day and gradually increase it. 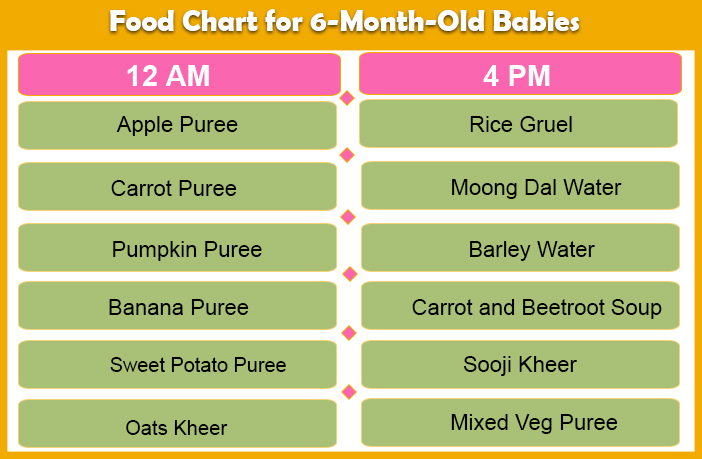 You can start with 12pm and 4pm pureed meals and breast milk/ formula milk in the morning and bedtime. 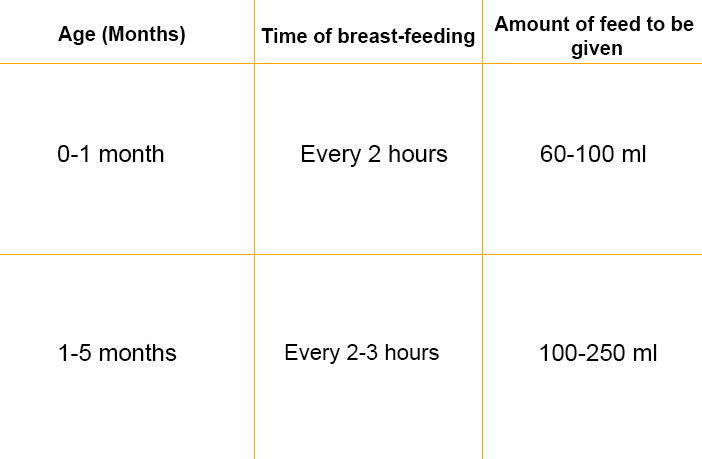 Breastfeed your baby throughout the day along with two times meal. Choose foods with proper texture for your baby’s mouth so that it becomes palatable and enjoyable for your baby. Stop feeding when your baby shows you cues that he or she is done. Often, your baby will do this by turning his or her head away from you. Hold your baby well in an upright position so he/she can easily see the food as much as they want to. Have your baby sit up straight and face forward. This makes swallowing easier and choking episodes are reduced. Talk in a quiet, encouraging voice while you feed. Don’t distract them with games! Let your baby touch the food in the dish and on the spoon. Allow your baby to self-feed finger foods as soon as he or she shows an interest in touching it. Always introduce 1 food at a time and wait for 3 days to check for any allergy symptoms. Symptoms of allergy and what you should do? Closely watch your child while feeding him/her. As soon as you notice any allergic reaction, stop giving the particular food and consult the pediatrician immediately. 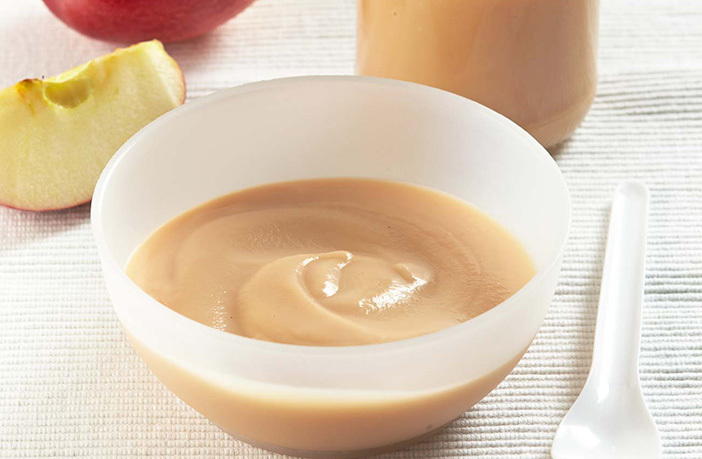 How to make Apple Puree? Wash and peel half an apple. Once it becomes soft, mash it with a spoon. You can add a few drops of breastmilk or formula (just before feeding) to improve consistency. 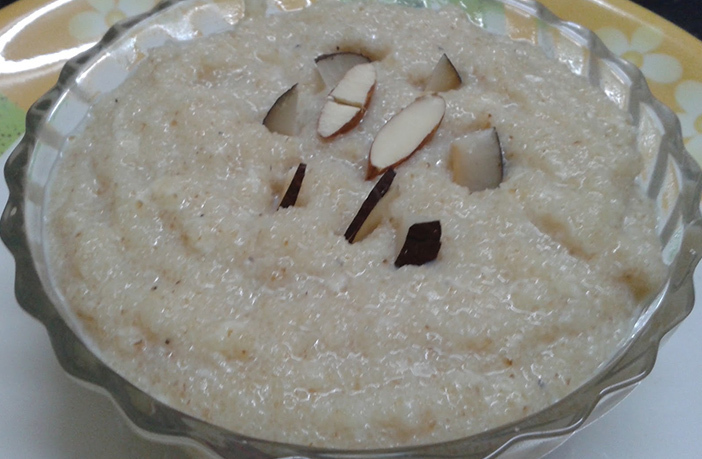 How to make Sooji Kheer? Dry roast the sooji in a pan till it turns golden brown. Add the water and stir continuously. Let it come to a boil on a slow flame. Stir until the sooji is fully cooked. The kheer is now ready. Once the sooji is done, take it off the flame, cool it a little, and add breastmilk or formula milk to make it creamier and more nutritious. How to make Banana Puree? No cooking is required in this one. 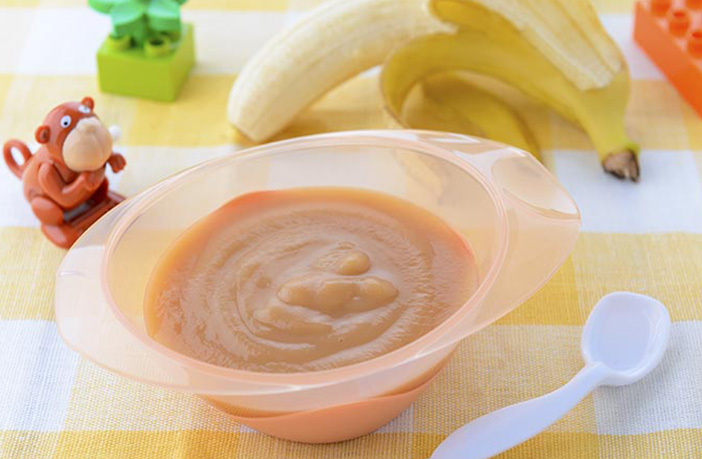 Simply peel a banana, blend it in a blender to get a smooth puree and give to the baby. You can add a few drops of breastmilk or formula to improve consistency. 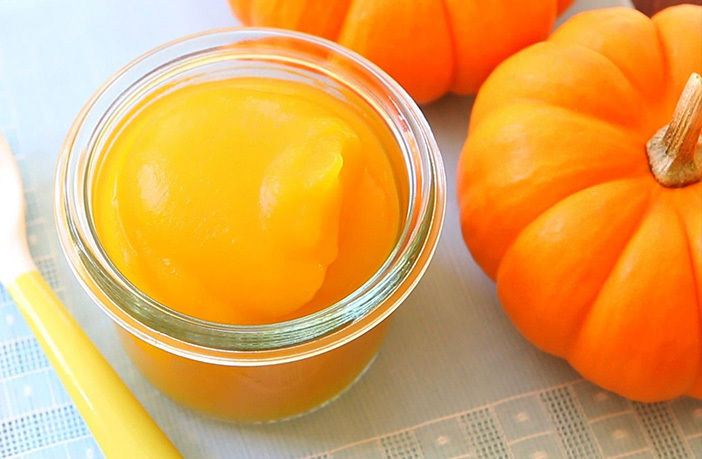 Wash and peel one slice of pumpkin. Pressure cook it till you get 3-4 whistles. 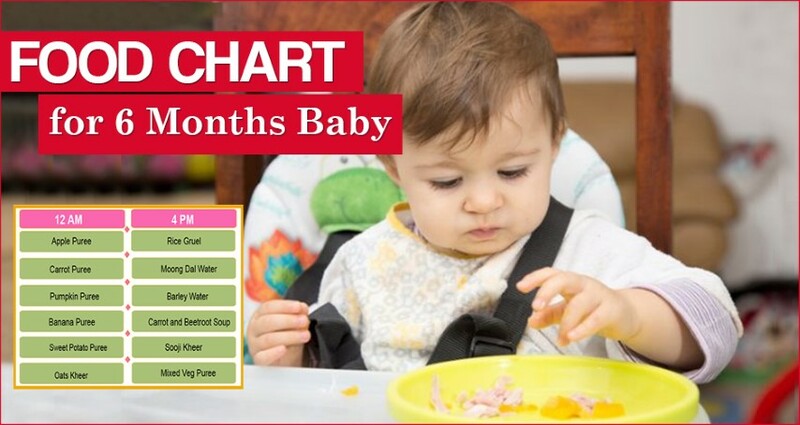 Most babies are happy to taste solids but don’t make your baby eat faster or slower than he or she wants. Wait for your baby to pay attention to each spoonful before you feed it. Let your child enjoy and chew each bite!